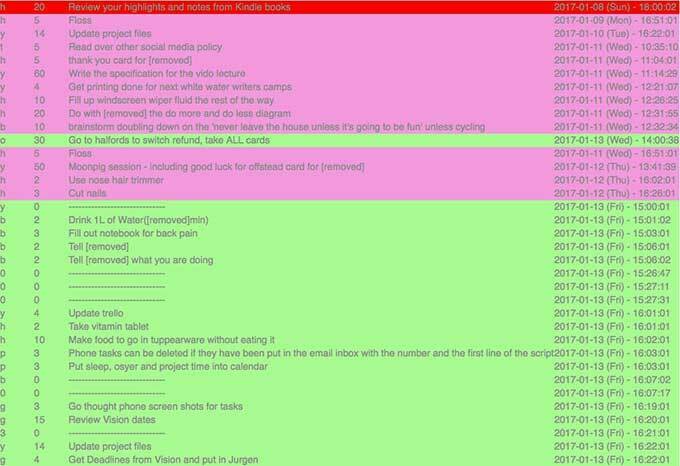 Joe Reddington makes his personal to-do list public, and he says "it’s the most useful thing I’ve done in years." Because he is writing his list for an audience, he has to describe the task clearly. The tasks now take "less thinking when I cast my eye down the list. That makes them easier to start, and that makes them easier to finish." My favorite item on his list: "Brainstorm doubling down on the 'Never leave the house unless it's going to be fun' unless cycling." Billy the Mime is working through some things. What they are, exactly, I don’t want to guess.